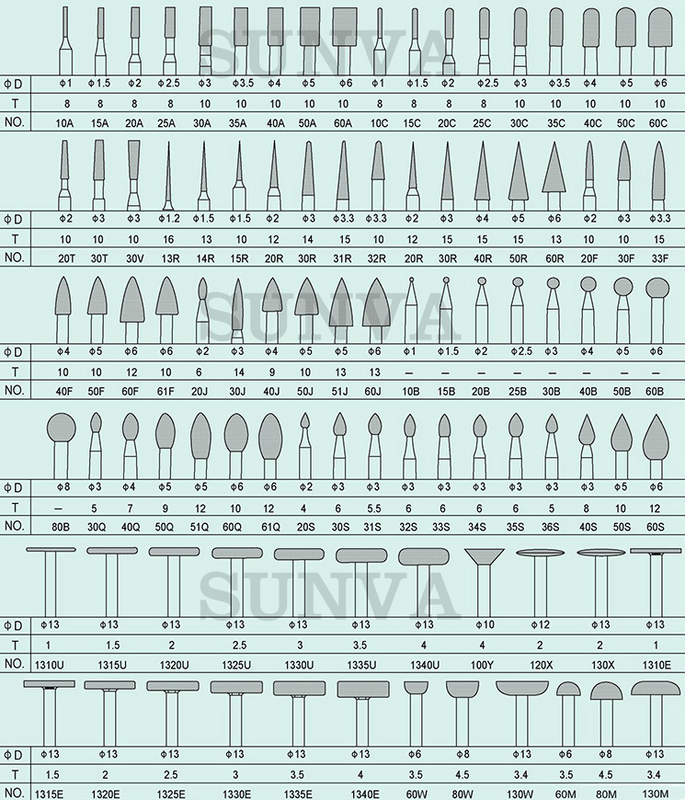 These SUNVA high-quality, durable cutting tools feature diamond particles nickel-electroplated onto medium carbon steel. Use on dental, nail, carbide, steel, ceramic, wood surfaces and others. • Shaft Diameter ：3/32", 3mm, 1/8"